There are two ways to add Sportlyzer to your Google Calendar. This short tutorial shows you how to subscribe to a public iCal Calendar with Google Calendar. First, you need to have the iCal Calendar URL link that you can find on the availability marking page or you can request it from the coach. On the left side go to "Other Calendars" and click on the dropdown. Enter the URL of the calendar, which you want to subscribe to. Click on "Add Calendar" and wait for Google to import your events. In some cases, you might like to import an .ics calendar file. For example when you want to add only a single file. But remember that this provides a snapshot of the events in the calendar at the time of import and these events are not updated automatically. By clicking on the Subscribe to my training schedule button, your computer will import the .ics calendar file to your device. Save the file to an easy location and go to your Google Calendar at calendar.google.com. Click on "Choose file" and locate the .ics file on your computer. Click on "Import" and wait for Google to import your events. Log in to Google Calendar in a web browser. Tick the calendar called "Training schedule..."
It can take a few minutes before the calendars appear. You may also need to close and re-open the calendar app. The sync cycle of Google Calendar is around 24h. 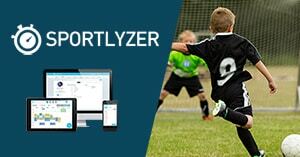 After an event in Sportlyzer is changed you still have to wait till Google Calendar syncs with Sportlyzer to see the change yourself.